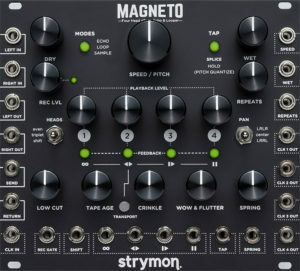 This entry was posted in Eurorack, Fx, Reviews and tagged cv, delay, demo, Eurorack, flux, fluxwithit, magneto, Module, pedal, review, strymon, thoughts. Bookmark the permalink. ← Keith McMillen Instruments Partners with Pearl Corp.